Equip your favorite round shield with the Medieval Shield Boss to help deflect the blows of your enemies or just to add a little interest to an otherwise plain shield. Made of steel, this round, unadorned shield boss is practical, sleek, and versatile. 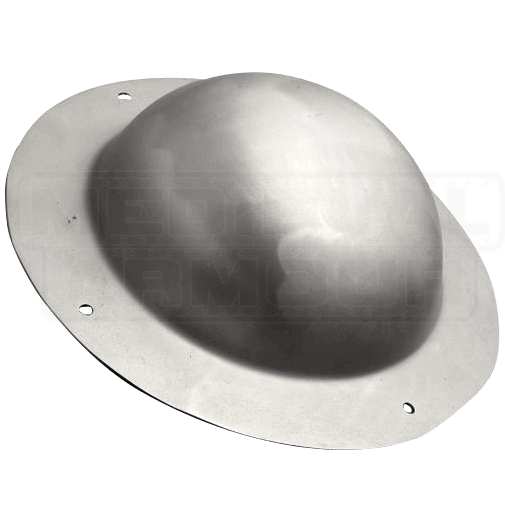 It is completely round and features a wide outer lip with four holes for attaching it to a shield, making it easy to integrate with historic reenactment armour.